In the Middle Ages, stonework was an enormous undertaking; for the building of one castle, the task employed anywhere from 1,000 to 3,000 workers including masons, carpenters, diggers, and blacksmiths. Depending on the size and lavishness of castles and fortresses back then, a project could take from two to 10 years to complete. Common features included stone columns, curtain walls, corner towers, tower keeps, grand fireplaces, fountains, and dry moats. 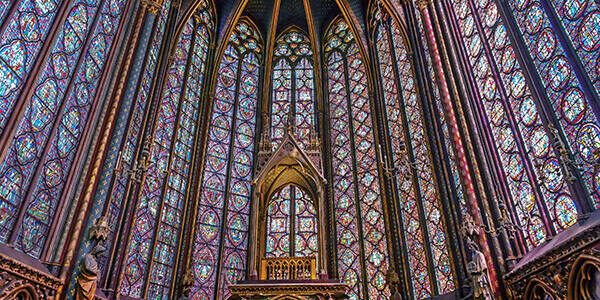 Medieval architecture that remains popular today includes pointed spires, intricate sculptures, flying buttresses, large expanses of glass, arches, and other stone structures. Materials needed were clay soil, oak trees, and stone that were located near castle sites. Mortar was created from soil, lime, and water and tools included chisels, hammers, plenty of rope, calipers, triangles, and even plumb bobs. Today, the same look can be created with stonework for those who desire the gothic or medieval look for their homes and buildings; thanks to advancements in building techniques and materials, precision and quality of work has greatly improved in the past several centuries. Today, many original medieval castles survive while others have been lost to time. Enduring stonework can be seen in Windsor Castle, the Tower of London, Bodiam Castle, La Rocca di Monteggiori, and hundreds of others, mainly in Europe. Today’s stone masons and builders are able to precisely recreate the work that was done then, bringing the gothic past to life in homes, hotels, and other buildings throughout the world. Examples of popular stone structures today include everything from fireplace mantels and stone columns to fountains and range hoods in kitchens. 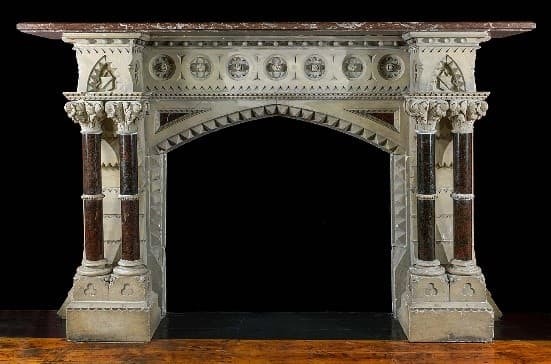 The fireplace mantels of old were often the signature of a medieval structure, providing more than just heat – they also provided incredible beauty and ambiance. From French chateaus to Neuschwanstein Castle, the fireplace symbolized wealth, power, warmth, and a focal point for it all. Today, expert builders can recreate the fireplaces of even the most meticulous design of a 19th-century Romanesque Revival palace to bring that same aura to modern homes. 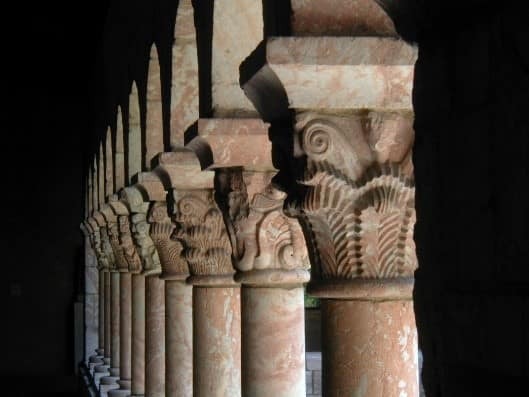 Gothic stone columns were used in medieval times not only to provide support and structure for large buildings, but also to provide a true “wow” factor that is hardly surpassed today. Dramatic flair was available in spades when builders added these columns and today, homeowners are opting still to add grandeur to their homes with medieval stone columns. 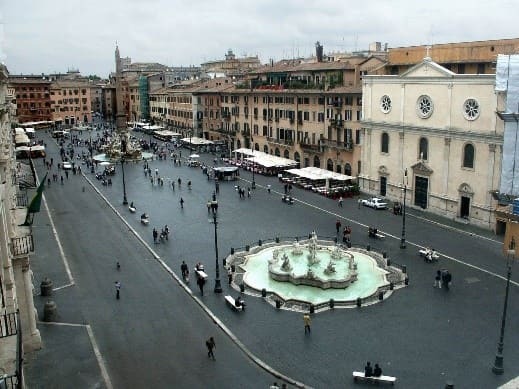 Appearing everywhere from the center of cities to the back gardens of castles, medieval fountains represented wealth, lavish power, and beauty. While many people back then found water to be calming and soothing, they still do so today. Featuring anything from grand arches and stone animals to sculptures of people, gothic fountains have remained a centerpiece for the grandest estates created by stone builders even in modern times. Much like today’s kitchens, medieval kitchens were constantly bustling with activity and as such, giant custom stone kitchen hoods were often the main focal point of these rooms. 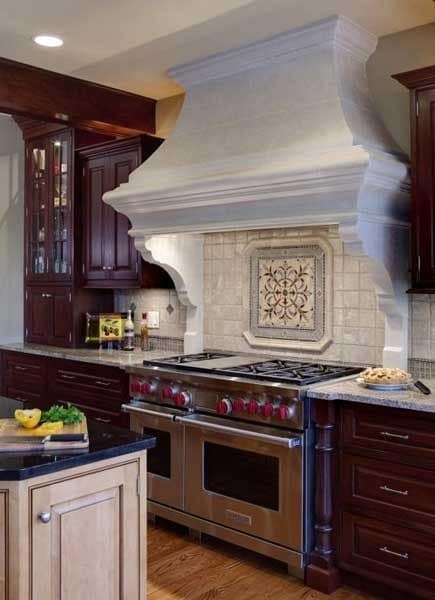 The charm and charisma these hoods afforded gothic homes is still replicated by master craftsmen who continue this tradition in the kitchens of today. Dramatic lines and grand embellishments are characteristic of this type of stonework, providing a strong elegance ideal for the grandest of kitchens across the centuries. The best craftsmen in the world go beyond fireplaces, kitchen hoods, fountains, and columns and provide additional types of stunning custom work for purveyors of medieval beauty from all over the world. The lavish detail present in medieval stonework is alive and well in many of today’s finest homes and buildings, and if you’re interested in including some gothic architecture in your own home, be sure to work with only the most skilled designers and craftsmen in the trade for the finest possible results.